The heart of the Museum’s collection is the donation of 153 masterpieces generously bestowed by the painter Esteban Vicente and his wife, Harriet G. Vicente. This collection is the only one in the world which is representative of the complete evolution and different creative phases of the painter Esteban Vicente’s work, as well as all the materials and techniques he employed, with a greater emphasis on his North American creations. It is therefore a remarkable ensemble and an essential point of reference for all those who wish to become acquainted with his work. This legacy is made up of 48 oils, 27 collages, 51 drawings, 4 watercolours, 16 small-sized sculptures, 1 tapestry, 2 lithographs and 4 serigraphs. The collection reconstructs the artistic evolution of Esteban Vicente and includes pieces which are fundamental to his early period and within the frame of the figurative style, with post-cubist and post-impressionist works created during the 1920s and 1930s, the latter related to the so-called Paris School and in tune with the poetic painting linked to the Generation of 1927. There are oils, drawings and watercolours completed in the cultural centres of the time: Madrid, Paris, London, Barcelona and Ibiza. 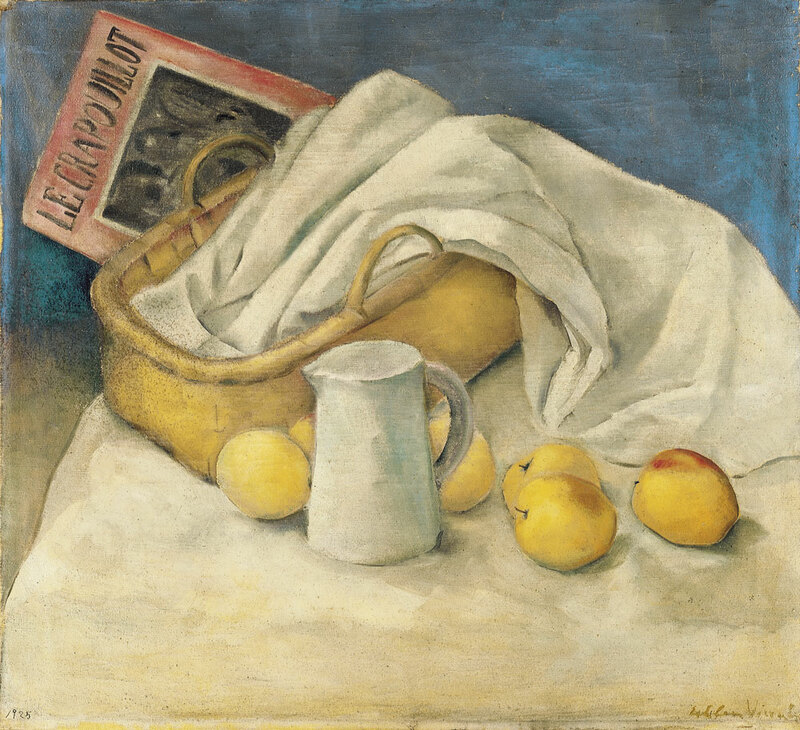 From the 1930s the collection also includes the oils and drawings from his first New York period. The creations corresponding to the 1940s held in the Museum were executed in Puerto Rico. During this period, Esteban – who had become an American citizen in 1942 – shows a certain New York influence but without abandoning his European personality. They are academeic drawings of familiar scenes in which the artist reveals a cubist influence. 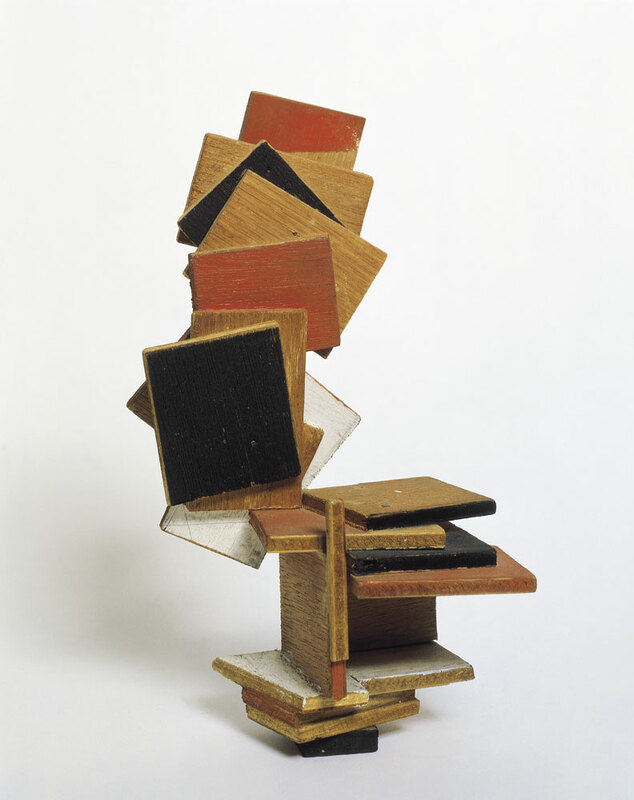 During the 1950s, the collage technique becomes very relevant to his work as a result of the influence of synthetic cubism, introducing certain characteristics of gestural painting and the continuity and contrast given by the intertwining of the forms. 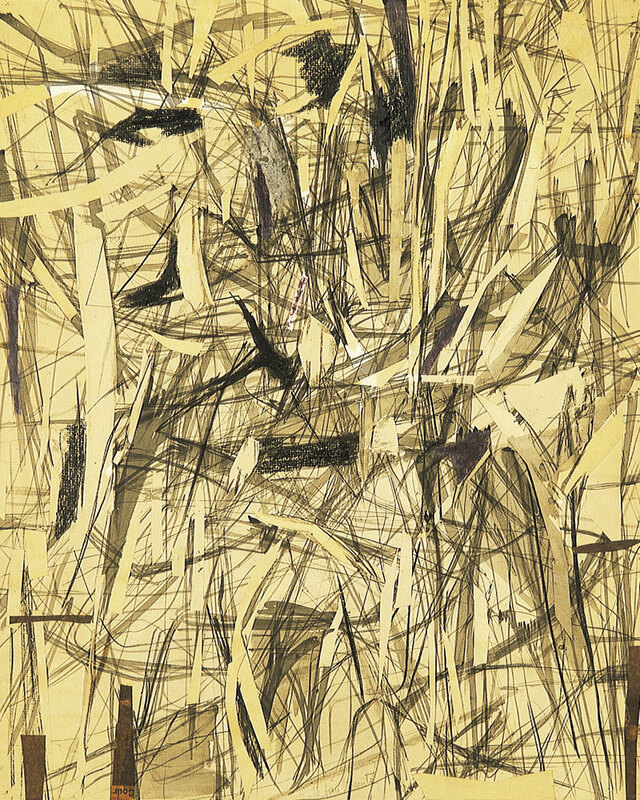 At the same time, during this period the painter took part, together with a group of New York artists, in the resurgence of a new artistic language, a kind of abstract action, gestural and aggressive painting which, in the case of Esteban, became more lyrical and was created using different flat areas with free and regular lines but with an ordered composition. 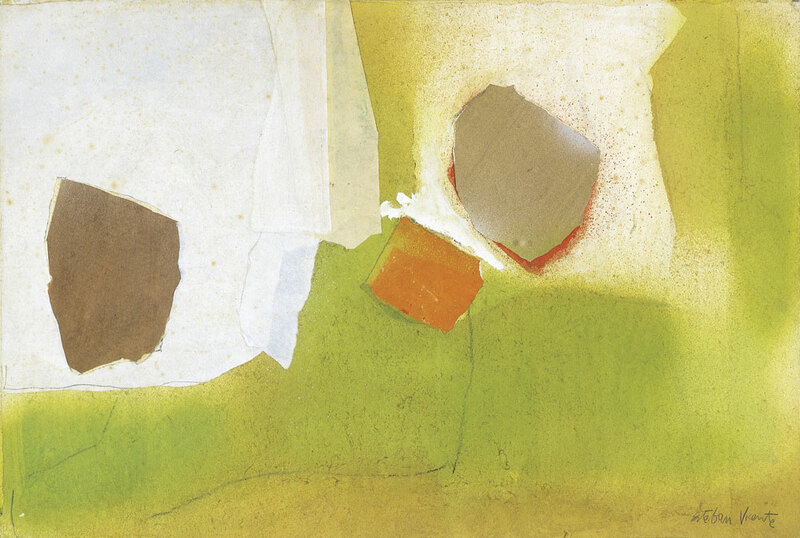 Subsequently, during the 1960s, in his collages and in his paintings, he started to give a more central role to colour forms, reducing the clutter in favour of a more reticular and less organic subjacent structure. The forms become increasingly broader, floating and reflected in an ambiguous atmosphere. 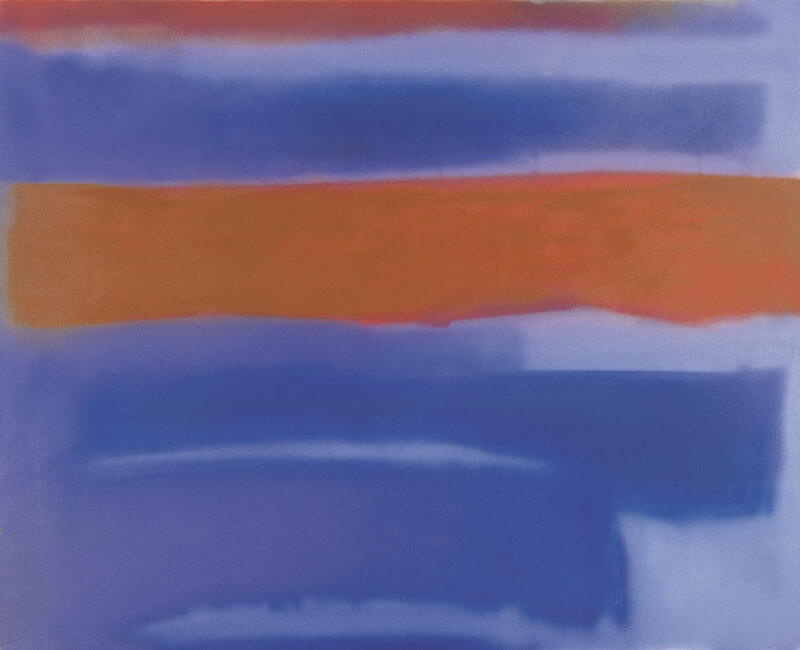 In the mid-1960s, the artist accentuated the interaction between the colours thus archiving a flatter, more visual and emotional colour. The spots of colour are larger, more gestural and abstract. The works created during this period owed much to his relationship with the organic nature resulting from his trips to and stays in Hawaii and to his Bridgehampton garden. The Collection also includes Works corresponding to the 1970s. During this period, gestures and traces disappeared to give way to the use of the aerograph and to the conquest of fields of colour, since this technique allowed him to reinforce his saturation. The sombre tones influenced by his personal experiences began to appear, albeit always containing light. The influence of minimalism also began to show during these years. Architecture, construction, structure were all elements delivered during this period. Also important at this time was the black line in which the elements of this constructive principle are organised and placed at the same level. 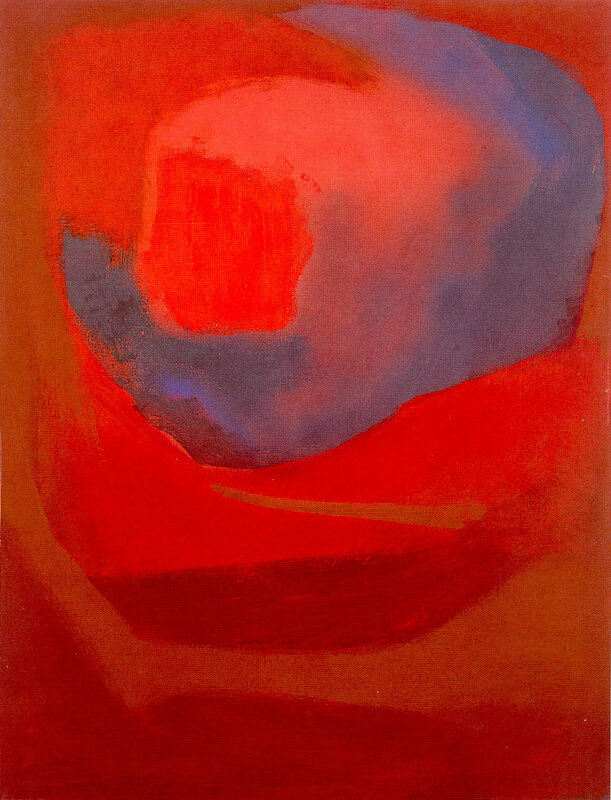 Intuition and poetry were given to these compositions by the full use of colour, together with thick and thin strokes. During the 1980s, Vicente returned with a greater intensity to nature as a source of inspiration, developing broad and diverse organic forms. He worked with more freedom, less subjected to his own technique, with greater richness and variety in his colour palette. The compositions were larger. During this decade he combined the aerograph with the flick of the brush soaked in colour and sketching began to gingerly appear. During the 1990s, the artist combined the aerograph with stencilling and with the flicks of the brush. The colours were more intense and varied, radiating a burning light and a serene atmosphere. His work always shows exuberance in the face of control. They are pieces with a huge variety in their composition. Works of particular importance are the 16 toys or divertimenti [“amusements”] created by the artist using recycled objects found in his studio and executed between 1968 and 1997. They are small, very delicate constructions in wood in the style of three dimensional collages in which the painter’s search for forms that are intertwined in space. Finally a tapestry, designed by the artist based on a 1970s sketch and woven in India, as was the case with many artists of his generation, which is one of the few pieces using this technique. The historical and artistic journey which the collection of the museum allows one to take becomes complete and concludes with two oils from 1999 and 2000 respectively and a group of pastels for the 1990s, all completed shortly before his death, and show the progressive degree of decantation, divestment and depuration he achieved in his final works. This is, therefore, an extraordinary collection by one of the most remarkable artists of the period whose work, which he referred to as “interior landscapes”, derives from the phenomenological observation of reality and becomes a construction shaped by an analysis of perception, in which light radiating from colour is emphasised in harmony with the skill emanating from the composition.